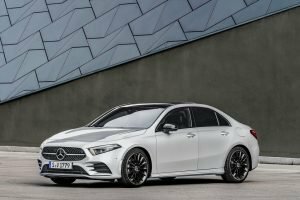 The luxury sedan segment has been dominated by the Germans. 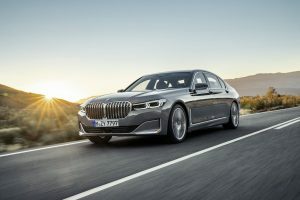 The dynamically competent BMW 7-Series, the tech-laden Audi A8 or the trend-setting Mercedes S-Class, these three saloons have been the de-facto choice for top executives. 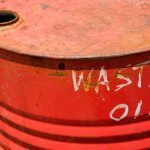 The trouble is they are a common sight on our roads and although they are immensely capable, with the ever-growing number of luxury cars, they don’t really stand out. Here steps in the Jaguar XJ - a car that has carved a unique approach to luxury with its drop-dead-gorgeous design, supple interiors and inherently sporting character. Despite being towards the end of its life-cycle, the XJ looks as fresh as a daisy. 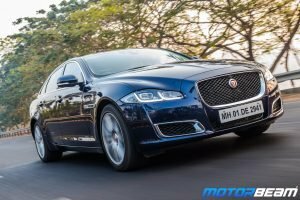 While not very famous in India, the Jaguar XJ has long been catering to the motoring needs of wealthy Brits and to mark the 50th anniversary of this legendary sedan, Jaguar has launched the XJ50 Edition with a few more goodies. 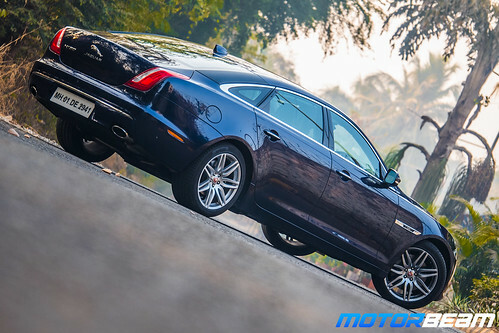 Motor Quest: First launched in 1968, the XJ is now in its fourth generation and the latest X351 model was launched in 2009 and got a facelift in 2016. It's due for a comprehensive update soon. 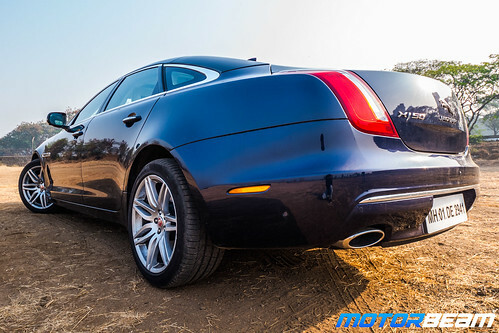 Exteriors - There are some cars which are a little beyond age and the Jaguar XJ is certainly one of them. Since its launch in 2009, the big limo has lost none of its character, gracefulness and resplendence over the years. It is the oldest car in the segment and by quite a margin yet it remains the most tastefully designed of the lot. The shape is long and the numerous swooping lines complement the coupé like sloping roofline. The front is aggressive with sleek headlights and a dominant grille. 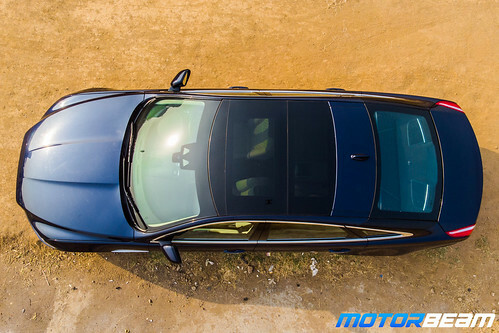 The muscular character lines on the bonnet add to the XJ's sporting pedigree. The beauty is that it does not look out of place for a luxury car and the styling up front has a refined rage to it which is irresistible. At the rear, it is more elegance than sport. The tail-lights look like ‘cat’s-claws' according to Jaguar and we like them for their interesting design and the way they light up. To mark half a century of the flagship's existence, Jaguar has spruced the design ever so slightly. 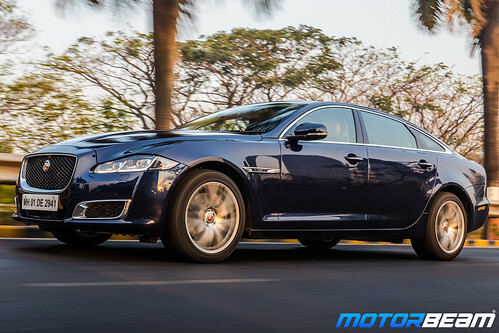 There is chrome up front bordering the grille and the lower vents, more chrome across the window line and atop the door handles and a glossy strip above the front wheel arch with the Jaguar and XJ50 badge. This makes the already stunning car look a little bit more special. The alloys are new and look much more befitting than the ones on the standard version. We also love the alloy spokes on it which look like a painter's stroke. All this and the Loire Blue paint shade translates into a car so stately, it wouldn't look out of place in front of Harrods. 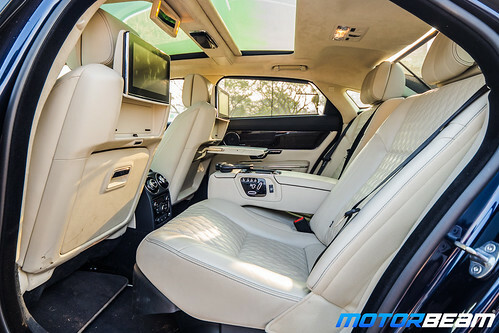 Interiors - The interiors of the Jaguar XJ50 spell luxury in bold capital letters. Like other British automobiles, this cabin goes the extra mile in both visual appeal and detail. Wood, leather and metal adorn the right places creating that typical charm which one associates with the craftsmanship-obsessed world of English motorcars. The richly metallic AC vents look beautiful and as does the metallic lid for the centre armrest and the controls to adjust the seats. The dashboard design is welcoming and that 'Riva Loop' trim that runs between the front doors gives the cabin a wrap-around effect. You also have the signature rotary gear selector that comes up as you start the car. 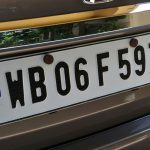 Then there are the details that are unique to the 50 edition car like the small plaque on the dashboard cowl which tells the name of the car along with where it is made. The XJ50 badging is also seen on the door sills and on the front centre armrest where it is embossed in a large font. The seats are thrones, to say the least. Big and supremely comforting, the quilted Ivory leather is a feast to your eyes. You sit slightly low in the XJ but there are a dozen ways to adjust your driving position meaning you can be at ease, always. The front seats can be adjusted in 18 different ways and come with memory function. They are also heated, cooled and can even massage you. The steering is chunky to hold and we love the crisp, clear and information loaded instrument cluster. 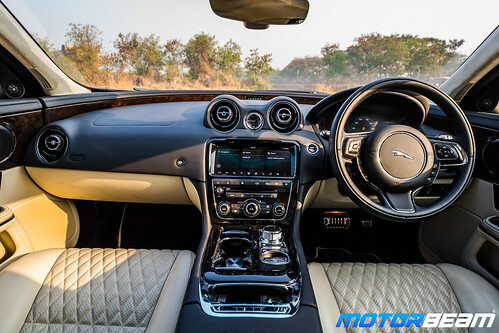 The centre console occupies a large 10-inch touchscreen infotainment system that comes with Jaguar's InControl App support. The display is sharp and the touch response good but for sheer usability, we'd still pick BMW's excellent iDrive over the Jaguar. That said the 825-watt Meridian sound system delivers concert hall like surround sound in the cabin. The backseats of the XJ50 are not too different from the front seats. You 'absorb' into the seats in no time thanks to the brilliant cushioning on offer. The backseats also pamper you with heated, cooled and massage function in addition to a repertoire of adjustments. 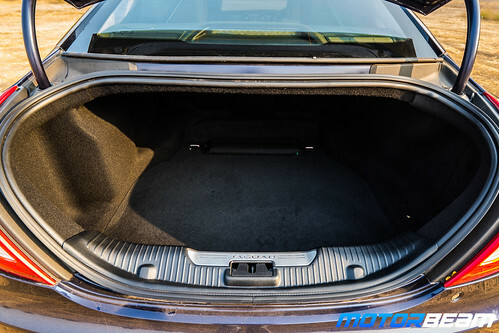 The only trouble is that the rear seat controls are split between the doors, armrest and the AC-console and we wish they were all at one place. The legroom and headroom are sufficient but short of beating the class-best. While the sleek windows look great on the outside, on the inside they feel a touch too narrow. 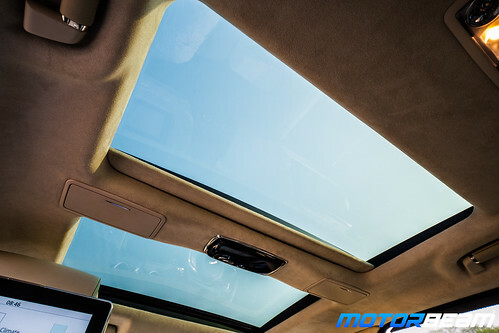 The large front seats also compromise the visibility but you get a two-part panoramic sunroof that prevents the backseat from getting excessively gloomy. 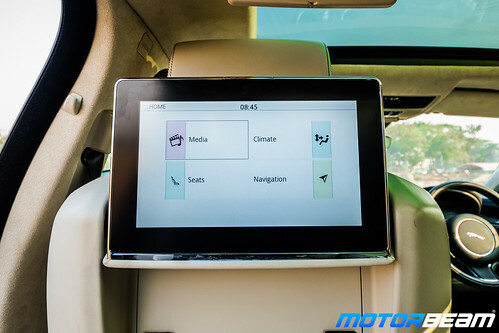 You also get large entertainment screens which do pretty much anything to entertain you and the XJ50 also comes with wireless headphones. The interior of the XJ50 is positively charming and has oodles of character. But it is not perfect. The quality of materials at large is not in the league of the Germans and while it is a good fusion of old and new, it does not do it with the same harmony as the Mercedes-Benz S-Class. Plus there are quite a few knobs and buttons on the centre console which, in the world of touch controls, might not be to everyone's tastes. Performance - The Jaguar XJ50 is available with just a diesel engine, it happens to be the fab 3.0-litre V6 unit that outputs an impressive 301 HP and 689 Nm at just 1800 RPM. There is an initial lag but the way this motor pulls once the turbo kicks in is nothing short of terrific. 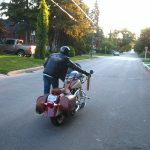 There is a kick in the pants feel and the oil burner revs quickly to its 4500 RPM redline, getting vocal in the top-end. Refinement levels aren't the best and the punchy nature of this engine means you have to get used to the immediate surge in power as it needs throttle modulation in the city. Mated to this engine is an 8-speed automatic gearbox which offers smooth shifts but isn't aggressive with downshifts. Get into Sport mode though and it becomes urgent, at the cost of smoothness and click on the paddles, it won't upshift until and unless you decide to do so, giving you manual control of the gears. Redline in Sport mode increases to 4800 RPM. 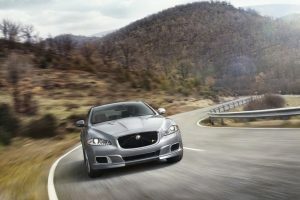 Off the line, the XJ reaches the ton from a standstill in 6.2 seconds while the top speed is 250 km/hr. Fuel economy is around 8-10 km/l. The vehicle swaps the position of the tachometer with the speedometer once you get into Dynamic mode which makes the engine more eager. Driving Dynamics - Dynamic mode also alters the suspension and steering, firming both up for an engaging drive. The suspension is on the stiffer side, offering a firm yet comfortable ride although small bumps can be felt inside the cabin. 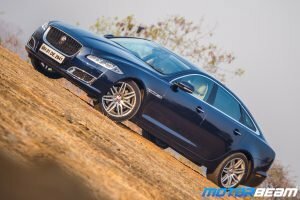 The XJ might not be the best in the segment as far as ride comfort goes but it surely is among the best in handling as the electric steering offers a lot of feel and weighs up brilliantly well at high speeds. Body roll is well contained and this is a fun car, although not a sedan to be pushed around corners due to its weight and length. 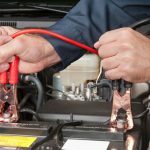 The vehicle's brakes offer good stopping power with a surefooted bite from the pedal. 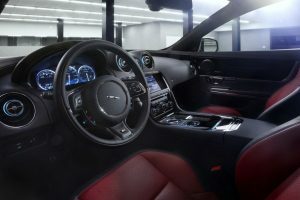 The Jaguar XJ comes with a host of technologies to keep it surefooted like Adaptive Dynamics which monitors the car 500 times a second and alters the dampers for a better ride. There is also All Surface Progress Control which is like cruise control for low speeds that ensures optimum grip in low traction situations (mostly rain and snow and there is a Winter mode too)! This limousine is among the lightest in the segment and tips the scales at 1860 kgs, all credit to the all-aluminium monocoque construction which keeps weight in check and ensures rigidity. Jaguar uses riveting and not welding for the chassis. 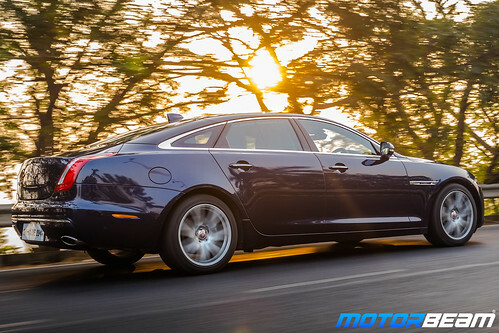 Safety - The XJ50 comes with a slew of safety technologies including lane departure warning and lane keep assist along with multiple airbags and other electronic safety systems. 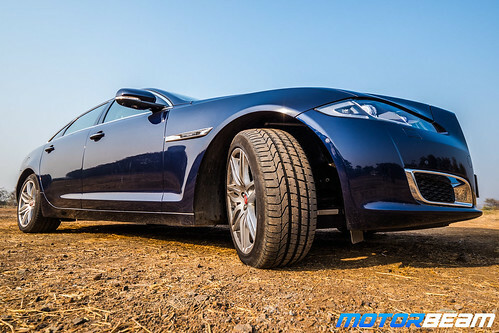 Jaguar also says that the all-aluminium construction of the XJ is not only light but also very strong and safe. The British automaker does not offer radar-based driving aids as seen on the Mercedes-Benz S-Class though. Verdict - The Jaguar XJ50 is not perfect. It lacks the last degree of comfort and quality of the S-Class and on the inside, it has started to show its age. What the XJ50 offers though is oodles of character. It looks sensational and only a few cars have designs that age so well. 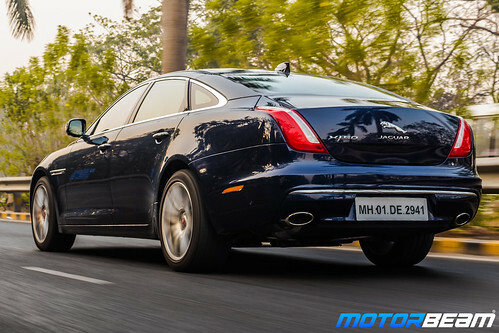 The Jaguar XJ50 scores high as a driver’s car with stellar performance and remarkable handling. The subtle tweaks to the 50-edition make the whole package even more exclusive. 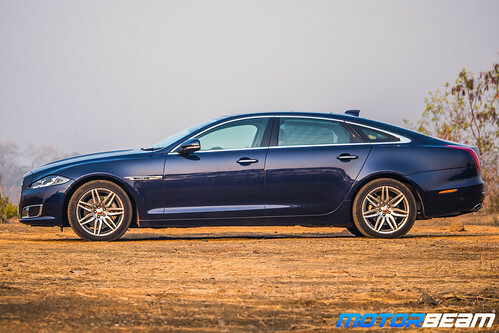 It might not have the wide appeal of the Stuttgart limo or the tech prowess of the upcoming Audi A8 but if you are one of those who like to stand out and don’t mind the slightly old-school nature, the Jaguar XJ50 remains the ultimate luxury sedan for you. Each rear passenger gets their own entertainment screen and wireless headphones! 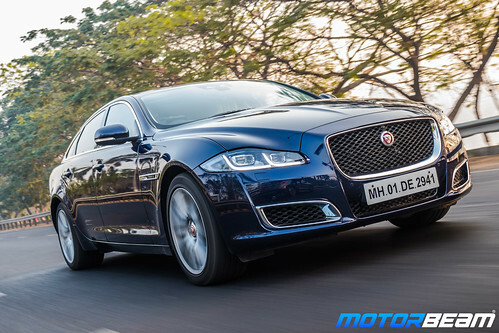 Will you pick the Jaguar XJ50 over the Mercedes-Benz S-Class? "I love the styling of the Jaguar XJ. Though it is one of the oldest cars in its segment, it still looks gorgeous. The interiors offer a cocooned feeling and those ambient lights make you feel that you're sitting in a luxury lounge. However, the amount of space offered is limited and there are a lot of features missing compared to the 7-Series and S-Class. What I really like about the XJ is the driving pleasure that it offers, it's not strictly meant for the chauffeur-driven." - Aariz Rizvi, Assistant Editor, MotorBeam. 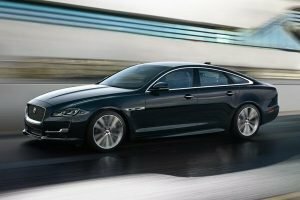 The Jaguar XJ is quite an old offering in its segment now and rivals like the Mercedes S-Class and BMW 7-Series have upped the game and how! 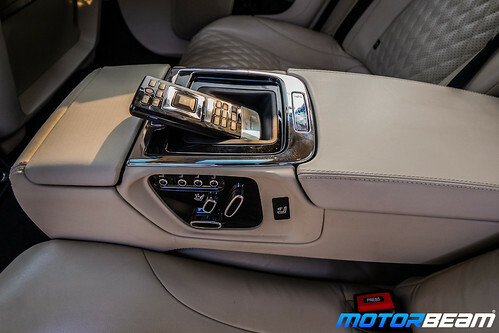 What I can't deny is the fact that the XJ still looks very striking and boasts of a very luxurious interior. It provides very good comfort too. 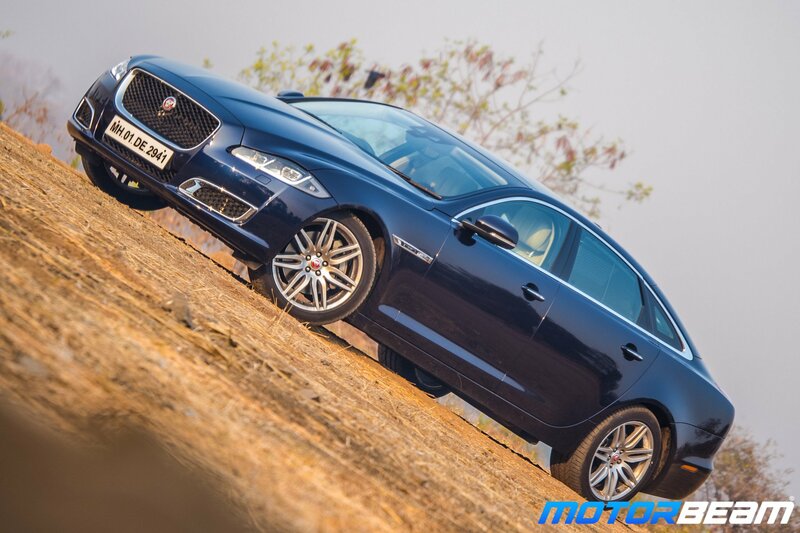 The XJ50 is just a minor updated version of the XJ, to celebrate 50 years of the sedan's existence. I like the XJ, but I think I'll wait for the next generation to arrive to fall in love with it." - Parth Gohil, Associate Editor, MotorBeam. The Jaguar XJ50 might be a limited edition model but does pull your heartstrings with its sporty design and comfortable and attractive interiors. The XJ is a car for the young millionaire who wants style at the forefront and fun to drive over backseat comfort, this Jaguar excels here. It might not be as polished as its German rivals but it sure is a dynamically rich limousine which also undercuts its competition on price.